18 Holes – Par 71 Yardage: 6174 Architect: Robert Trent Jones Sr. and Jr. 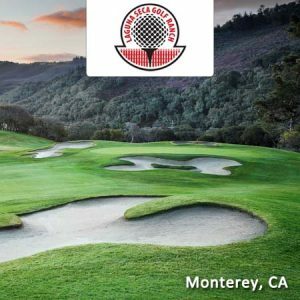 Designed by Robert Trent Jones, Senior and Junior in 1970, Laguna Seca Golf Ranch is carved through the sunny, oak-studded hills of Monterey. Presenting narrow fairways, a host of strategically placed bunkers and uphill doglegs, Laguna Seca Golf Ranch will challenge every golfer. The undulated typography of this layout will force you to use your creativity on approaches. The greens are generous in size, although many are deceptive when considering the line. With typical Jones artistry, this spectacular venue features many elevated tees and a bevy of strategically placed bunkers that guard almost every green. 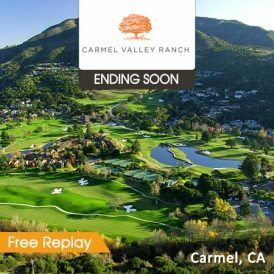 You will have to play every club in your bag in order to conquer this challenging course that earns its slope rating of 127! 10520 York Road – Map It! $79 paid value does not expire and may be used toward the purchase of regularly priced green fees after promotion expiration.